North American Van Lines is a full-service moving broker with a network of over 500 local moving agents. Their services include household, corporate and international moves. For reviews and pricing on our picks for the best long-distance movers, click the link below. Based out of Fort Wayne, Indiana, North American Van Lines has been in the moving industry since 1933. The company partners with a network of more than 500 local moving agents nationwide. Dozens of North American’s affiliate movers win a Quality Mover Award each year, meaning the agent adheres to the best moving practices and ranks high in customer satisfaction. The vetting process for the Quality Mover Award is based entirely on surveys from North American customers. North American Van Lines household moving services include customizable options like complete packing, fragile-only packing, or self-packing. If you are the do-it-yourself type but need help with a few things, North American gives you the freedom to pick and choose what services fit your budget and needs. The company can pack up the entire house, or only help with loading and unloading your belongings. If you need temporary storage during your move, North American Van Lines offers climate-controlled storage options, too. If you are considering downsizing to a smaller home across town or making a big move another state, you are part of a broader trend. Harvard University’s Joint Center for Housing Studies on housing choices for retirees indicates that homeownership is growing for senior citizens and middle-aged individuals. Even for those living into their 80s, home ownership only declines a bit because people are living and staying healthier longer and the levels of in-home nursing care options are growing. The cost of your move depends on the services you choose, the distance to your new location, the amount and weight of your items, and the time of year you decide to move. However, North American promises to provide you with what they call “predictable pricing.” Your written estimate should be your bottom-line price unless you decide to change services. 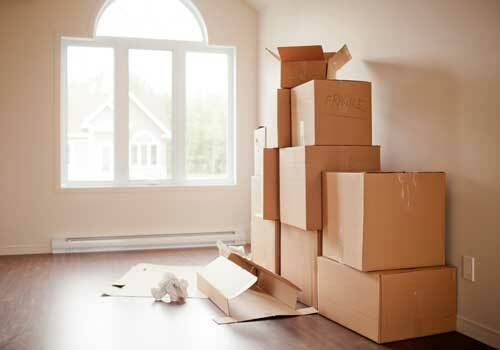 A local move with no packing services or other extras will start at around $550. A two-bedroom home with an average amount of household items could cost between $3,000 to $4,500 for a 1,000-mile move. A five-bedroom house could cost up to $15,000 for a long-distance move. Two types of liability insurance coverage are offered to protect your items. The basic plan provides minimal coverage and is included in all moving packages, and full-value protection for an added cost. North American Van Lines is a full-service moving company geared to handle all or just a portion of your relocation process. With their range of moving services, you can customize your move to meet your exact needs. You may feel hesitant to hire a professional moving company for a local move, but North American Van Lines brings several advantages to customers looking to move short distances. The company website or representatives can educate you on what you need to know for the task ahead with start-to-finish planning. Once you factor in all the costs involved, you may find North American Van Lines is more affordable and efficient than doing it yourself. If you need to store your belongings while selling your current home or at any time during the move, North American Van Lines gives you both long- and short-term storage options. Cross-country and long-distance moving services include three packing options: full-service packing, fragile only packing, and self-packing. If you choose to self-pack, North American can provide you with packing supplies for a fee, such as boxes and stretch wrap. Other services include custom crating, piano moving, unpacking, debris removal, short- and long-term storage, vehicle transport, furniture disassembly and assembly, as well as third-party services like cleaning and debris removal. We found no information about vehicle moving services in our North American Van Lines research, other than some agents advertising the service. If you need a car, truck, SUV or other personal vehicle moved, see our Best Car Shipping Companies Guide, or ask a representative if this service is available in your location. The North American Van Lines website contains resources such as packing guidelines, cost calculators, and other materials to answer your questions about preparing to move, the moving day, and to help take the stress out of relocating. You can track your shipment on their website as well. North American Van Lines has an online quote form to get started with your move, or you can call a customer service representative to get an estimate. Next, you’ll need to arrange an in-home estimate, which any reliable moving company does to ensure that you have no surprises when the final bill arrives. The Federal Motor Carrier Safety Administration recommends on-site inspections to protect yourself from being overcharged. Expect the representative to take a look in drawers, cupboards and cabinets. It’s important to understand that North American collaborates with local moving companies, referred to as agents. The representative who comes to your home will be from one of these local partners. During the in-home estimate, the representative will help you choose which services you need. They will also take a visual inventory of all your household items to be moved, estimating their weight and size. Be sure to let the representative know what you will not be moving and don’t forget to show them items stored in your attic, basement or other storage areas around your property. If you have belongings in off-site storage, discuss this with the representative when you set up the in-home visit. Once you have a quote based on the in-home estimate, you can book your moving date. The estimate is the maximum you will pay for your move unless you decide to add more services later on. North American Van Lines holds an A+ rating with the Better Business Bureau and is a ProMover with the American Moving & Storage Association. North American gets well-above-average ratings in independent consumer research. Overall, past customers had good experiences with the company. As a full-service mover, North American contracts with more 500 local agents. The customer’s encounter with the company depends significantly on the quality of the local service agents. The most common complaints about North American Van Lines we found on online review sites mention personal belongings not being treated with care. North American Van Lines has a satellite tracking system that lets you look up the location of your shipment and driver online. The driver will contact you twenty-four hours before delivery. You will also be assigned a customer service representative for your primary contact while your belongings are in transit. He or she can also track your shipment and give updates on your delivery. What type of protection does North American offer for loss or damage of my belongings? Your coverage for loss or damage depends on the valuation of coverage you select. Be aware that valuation is not the same as insurance; it refers to the liability of the moving company. Your homeowner’s insurance policy may cover losses and damage during your move, so read that policy or get in touch with your insurance company. North American Van Lines offers two types of valuations. Released Value is in all moving North American Van Lines moving packages at no cost. This option provides minimal protection at $.60 per pound and typically is not enough to cover most shipments. We only recommend this option if your homeowner’s insurance covers your belongings for their full value. Full Maximum Value Protection is North American’s more comprehensive coverage. With this option your lost, damaged, or destroyed items will be either repaired or replaced with like items. You may also receive a cash settlement for the current market value to replace the item, regardless of its age. To reduce your cost for full value protection, you may be eligible to apply deductibles, so ask your moving agent for details. An order of service is required by law before a mover can ship your belongings. This document confirms in writing the moving services to be provided with your shipment. It specifies the pickup and delivery dates, the amount of valuation requested, customer contact information, and any other services you ordered. The order of service also shows the charges, terms, and method of payment. It is essential that you carefully read this document. You and your mover will be required to sign the order for service before the company processes the shipment. A bill of lading is required by law for the transportation of every shipment. This important document is a receipt for your items as well as the contract for transporting your belongings. After loading your belongings, the driver must provide you with a copy of the bill of lading. Before signing the bill, be sure to read and understand the information, terms, and conditions of your transportation services. The bill of lading also contains the payment terms and conditions you agree to pay for the total moving charges. What items are not recommended or allowed on the moving van? High-value items such as jewelry, cash, antiques and collections are allowed, but not recommended to be included with your shipment. If you do ship these items, be sure to sign the Extraordinary Value Article Declaration on your bill of lading. For the safety of your family, your movers, and others on the road, many items cannot be shipped on the moving van. Perishable items, chemicals, batteries, paints, and many other products are hazardous materials. Most moving companies won’t allow plants on the moving van because stress and heat often will cause them to die, and some states have restrictions on plants. If you are moving no further than 150 miles, some agents will take plants, but this is at their discretion. Ask your representative for a list of non-allowed and hazardous items that can’t be moved, or see North American Van Lines’ website for this information. 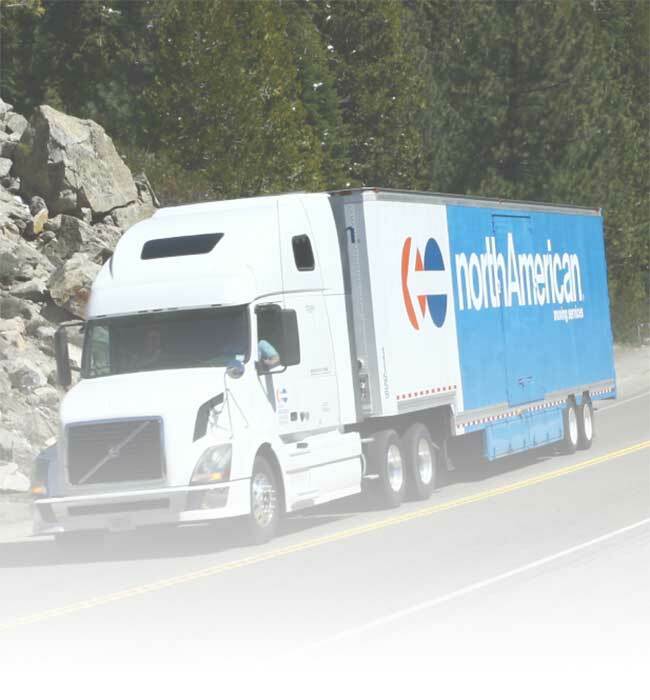 With 80-plus years in business and a full scope of moving and storage services, North American Van Lines is capable of making a smooth transition between your current location and your new home. When you’re looking for a moving company with a range of service options and a long history in the industry, North American Van Lines fits the bill. Remember your satisfaction will depend on the quality of the local moving agent, so before you sign on, make sure to thoroughly investigate North American’s local partner assigned to your move. With its personalized approach, nationwide fleet and agents and commitment to top quality service, consider North American Van Lines for your next move. Had a horrible experience with my move! The company does not care how they treat your belongings. Over half of my things were either damaged or lost. Claim of over $5,000 and received $150.00. They are crooks! Steer clear of this company. Wrote to the CEO and he basically told me to jump in a lake. We had received an estimate for moving from Sandercock North American Van Lines in San Luis Obispo, CA. After a month of promises to move us, today they abruptly told us they would not. When we received the estimate we thought it seemed high and asked if it was correct. They became angry that we asked and we said we'd get back to them. They became angrier and said they would send an Invoice for used packaging paper we had received. Then they stopped taking our phone calls or returning calls. After about a week when I got through (one month before the move date) they told us that they would not be able to move us at all and they thought we had another mover. We had numerous conversations with them and we were told that as long as we signed by 1 October there was no problem. When I called corporate they sent me to voice mail. This is not the reliable mover and I don't see how a rogue company operates within this corporate shell. They should be embarrassed.